The Tortola Lions Club celebrated its 42nd Anniversary on 27th April, 2014 by attending and participating, together with the Tortola Leos Club, in the Sunday service at the Sea Cow’s Bay Methodist Church. Since the club’s chartering in 1972 its members have worked on a variety of projects in the local community, such as building both the Queen Elizabeth II Park and the Noel Lloyd Positive Action Park Restrooms, Lions Road Signs and Benches Project, Primary School Eye Screening, Special Needs Games, Christmas Basket Project, donation of an Ultra Sound Equipment to the Dialysis Unit at Peebles Hospital among many other projects. The club’s youth arm, the Leos Club, has also completed many projects such as Condom drives and Christmas parties for Children with Special Needs. 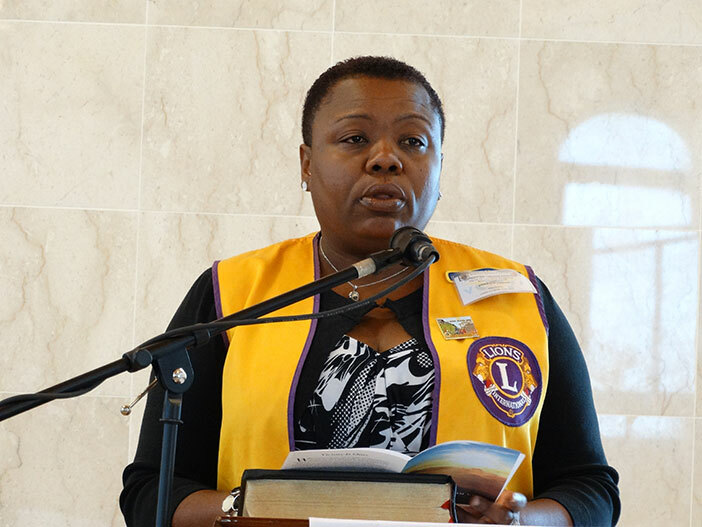 Lions Clubs International is the world’s largest service club organization with more than 1.3 million members in approximately 45,000 clubs in more than 200 countries and geographical areas around the world. Since 1917, Lions clubs have aided the blind and visually impaired and made a strong commitment to community service and serving youth throughout the world. For more information about Lions Clubs International and the work done by Lions and Leos, visit the Web site at www.lionsclubs.org.